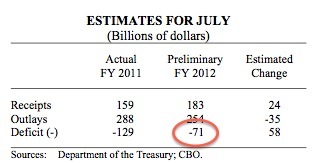 The CBO predicts that July’s deficit will come in at $71 billion. 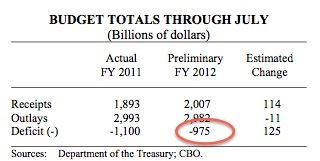 For the first 10 months of this fiscal year, that brings us to the brink of another trillion dollar yearly deficit. I guess we can say Obama’s plan is working if one wants to bankrupt our country.